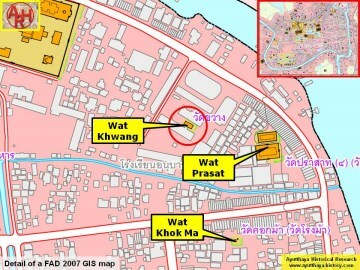 monastery is often referred to as Wat Fang in old documents. 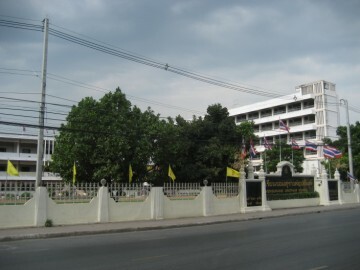 along the Front City Canal and was called Pom Wat Fang (Pom Wat Khwang). 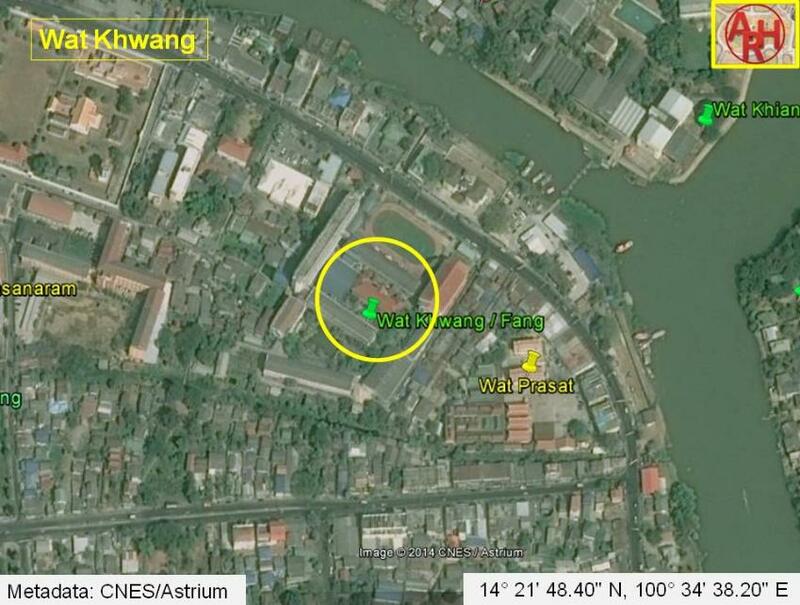 present "Chomsurang Upatham School" is situated. 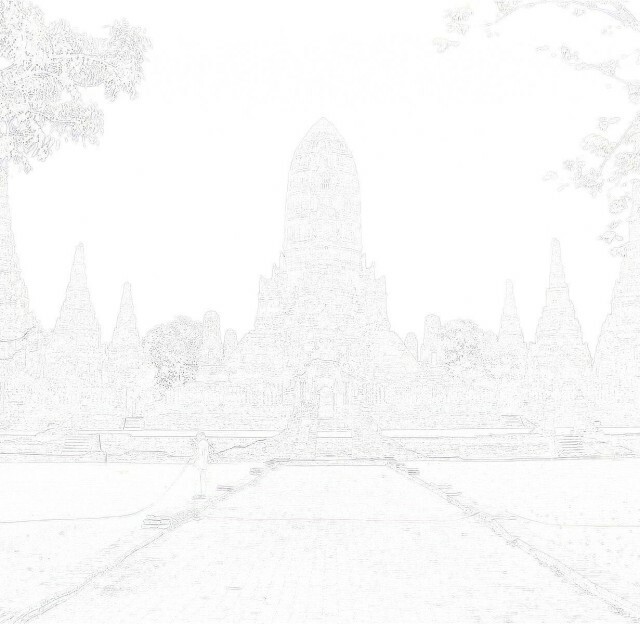 statue of this temple was moved to Wat Prasat. 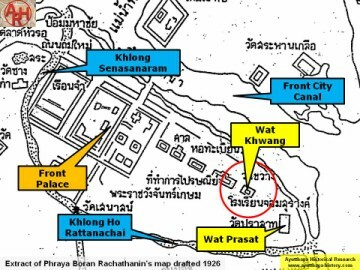 Wat Kwang was situated in Geo Coord: 14° 21' 48.40" N, 100° 34' 38.20" E.
(1) Sen is a traditional Thai unit of length equal to 40 m.
Source: Thonburi fragment (1779) Khurusapha (1963). Society, Vol. 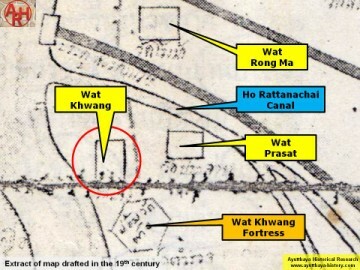 99, 2011 - page 64.